Wearing Braces and Eating Halloween Candy. People who have braces often have to watch what they eat as a result. Halloween can be an especially difficult time of year for the people who have braces. Obviously, people who have braces should still be able to enjoy Halloween. However, they should choose their Halloween candy wisely in order to avoid an emergency trip to the dentist. There are certain guidelines that people should keep in mind when it comes to choosing candy and food in general if they wear braces. Food that is very sticky is almost certainly problematic. If it's food that has a tendency to produce tiny and sharp fragments, it might get lodged in the different components of the braces. Food that is very tough and sticky at the same time can change the position of braces as people try to eat. Unfortunately, there is a lot of Halloween candy like this. Almost any Halloween treat that contains caramel can be a problem for people who wear braces. Candied apples are among the most popular and timeless of all Halloween treats, but eating them can damage braces. All caramel candies can be a problem for people who wear braces, regardless of how soft or hard they are. It's the shape of the nut fragments themselves that's the problem, and not the chemicals in products that contain nuts. Of course, people with braces should certainly avoid eating chunky peanut butter. People who have braces should never chew gum. It should also be noted that candies that are nearly as chewy as gum can be nearly as bad. Almost all 'gummy' candy is bad for people with braces. Jelly beans, taffy, and candies that have similar textures are just as problematic. While people don't always think that licorice is especially gummy, it's actually one of the single worst candies that people with braces can try. Licorice can cause braces to lose their shape while changing the position of the brackets. Licorice is also more likely to cause problems with staining and tooth decay than many other types of candy. Many other types of chewy candy will cause similar issues. 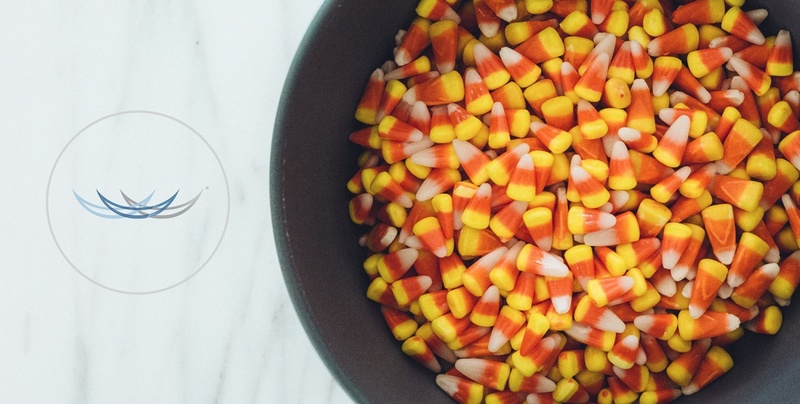 Finding exact alternatives to all types of Halloween candy might be tricky. A lot of the gummy candy that people love will use flavorings that make it all taste like fruit. Many people like the texture of gummy candy, nuts, and caramel and not just the taste, and of course there is no safe way to replicate these textures for the people who wear braces. However, there are still lots of great Halloween treats that people can enjoy even if they have braces. Solid chocolate is a good example. If the chocolate is not too sticky and if it has a somewhat soft texture, it should be safe for the people with braces. Peppermint patty candy is also a good choice for the people who have braces. People can also continue to eat brownies and cookies even if they wear braces. While brownies and cookies produce a lot of crumbs, the crumbs usually won't become hazards in the process. If people who wear braces are just a little bit selective, they should be able to enjoy Halloween with great success! Who doesn't love cookies? Now, there is an effective, safe and affordable cosmetic braces solution that fits your lifestyle. Six Month Smiles is a clear braces system designed to straighten your teeth in about 6 months.